Five HVAC Mechanical Engineer resume samples to help you improve your own resume. These resumes are collected from Slideshare. They are submitted by professional HVAC Engineers. 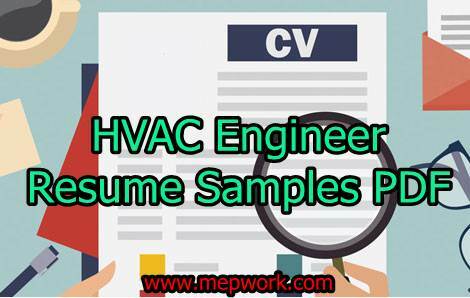 Here are the best HVAC resumes including HVAC project engineer resume that updates all the vital information of preparing a resume that yields in an interview call. Below there are 5 HVAC Engineer CV Samples in PDF - Free Download.